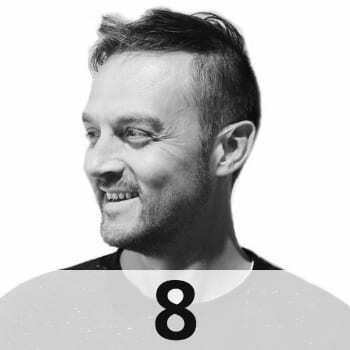 Managing Principal @ Eight Inc.
Steve leads a team of strategic designers and business creatives to deliver holistic, human-centric experiences for world-renowned brands such as Apple, Nike, Coach, Virgin Atlantic Airways, Barclays, Citi, and FC Barcelona. Sometimes called “Apple’s best kept secret” Eight Inc. came up with the original concept for Apple Store worldwide working closely with the late Steve Jobs, and designed the standards that were to be used in creating them. Today there are more than 500 Apple Stores globally that provide breakthrough branded customer experience and have the highest sales per square foot in the world. Eight Inc. is one of the most progressive design firms working today. It is helping to transform organisations to be relevant in the worlds most highly competitive environments by looking at the design factors that drive successful human interactions. After completing his Interior Design degree in London, Steve’s Masters Degree took him from Birmingham UCE out to the Benetton sponsored Fabrica Research & Design Centre in Treviso, Italy, where he completed a two year work scholarship under the inspiring direction of the legendary Oliviero Toscani. Steve’s talent and determination took him to Tokyo where he worked for the architectural firm PAE before moving on to co-found a small design practice with a collective of like-minded international designers under the name, Postnormal; a practice whereby they established a creative presence through a series of both collaborative and individual interior, installation and exhibition projects in the capital city. This in turn led him to start his own company, Steve Lidbury Design Studio where his studio became a respected player in ‘thinking design’. With a portfolio of completed projects in Japan and China published by the international media, the studio flourished and as such was recognised as a flagship for British design in Japan. After 10 years abroad Steve returned to the UK to become Global Creative Director of the Luxury Automotive Group at Imagination, creating brand experiences for the likes of Jaguar, Land Rover, Aston Martin, Rolls-Royce Motor Cars and Mazda.